In the early morning of July 21, the Guatemalan National Civil Police (PNC) carried out a second violent attack on the peaceful encampment in Casillas, where community members have expressed their resolute opposition to the presence of Tahoe Resources’ Escobal silver mine. Since June 7, community members from six municipalities have maintained the 24/7 encampment and effectively restricted mine-related traffic, including the passage of generator fuel necessary for the mine’s operation. At the time of the violent attempt at eviction, PNC agents were escorting two tanker trucks believed to be carrying fuel for the mine. Community members have denounced the use of excessive force, citing four cases of pepper spray poisoning and at least three other injuries incurred during the clash with police. They also question the legality of the eviction itself; According to Guatemalan law, police can only carry out evictions between the hours of 6:00 A.M. and 6:00 P.M. Since the attack, many community members have raised deep concerns about the use of state agencies to protect transnational corporate interests, and members of the resistance have filed a complaint with the Guatemalan Public Prosecutor’s office calling for an investigation. The cooperation between the company and the police is particularly concerning given the Guatemalan Supreme Court’s recent ruling to temporarily suspend Tahoe’s mining license pending the resolution of a case brought against the Ministry of Energy and Mines (MEM) charging a lack of prior consultation with Indigenous Xinca communities. 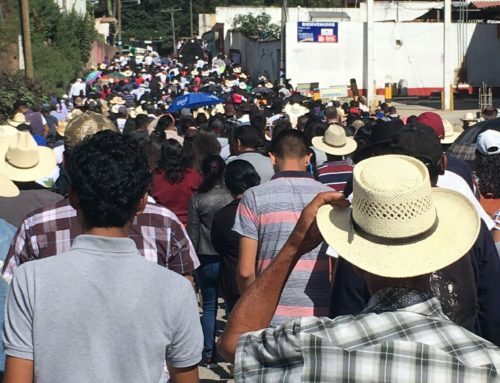 Two days prior to the attack, thousands of Xinca activists, resistance members, and their supporters mobilized in Guatemala City in defense of the right to indigenous identity and community self-determination. 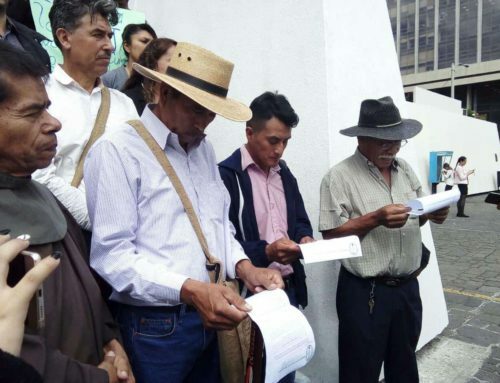 Protestors rejected statements made in a communiqué published by the MEM on July 6 in which the agency claimed that it has fulfilled all obligations under Guatemalan law and that the company’s Environmental Impact Study, approved by the Ministry of the Environment in 2011, determined there was no Indigenous population in the region. Since the first attempt to evict the peaceful resistance in Casillas on June 22, more than 730 people have responded to NISGUA’s international call to action by writing to urge local Guatemalan authorities to meaningfully and respectfully respond to the demands of peaceful protesters in Casillas, to refrain from using violence, and to uphold the right to non-violent protest. In addition, over 2,100 people have written and called Tahoe Resources demanding that they listen to and respect the demands of protesters and that they refrain from supporting or pressuring government actors to repress the peaceful protest or use force to evict communities. This timely showing of solidarity affirms that the movement to protect land and water is international! NISGUA thanks its supporters for taking action and invites you to stand with us as we continue to demand respect for indigenous and campesino self-determination and accountability for state and corporate violence. 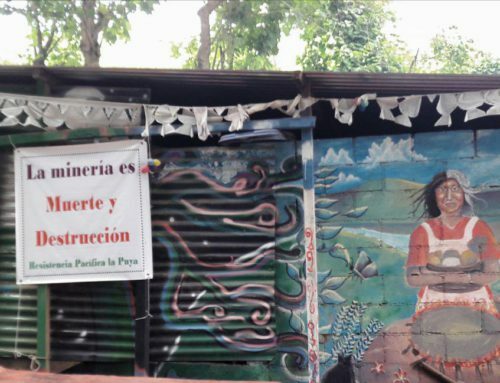 Those defending their territory against the Escobal silver mine continue their work under heightened threats of repression. Tahoe Resources has a history of pressuring the Guatemalan government to use force to quell opposition and to repress peaceful protests. NISGUA’s Guatemala team remains attentive to the situation; Please stay tuned for further updates and calls to action as we continue to stand with the people of Santa Rosa, Jalapa, and Jutiapa in denouncing criminalization, police violence, and any other form of repression against peaceful protest.